This article explains how to edit your domain’s DNS settings in the Cloud Office Control Panel. If you are not sure who is hosting your domain’s DNS, see Find your DNS host. From the Go to section menu, select Domains. 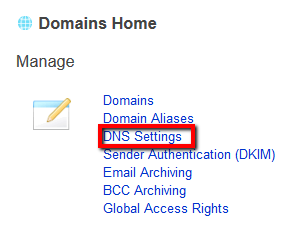 In the Manage section, click DNS Settings. Click DNS Records under the Advanced Settings column next to the domain you would like to edit. Edit your DNS records to match following example. 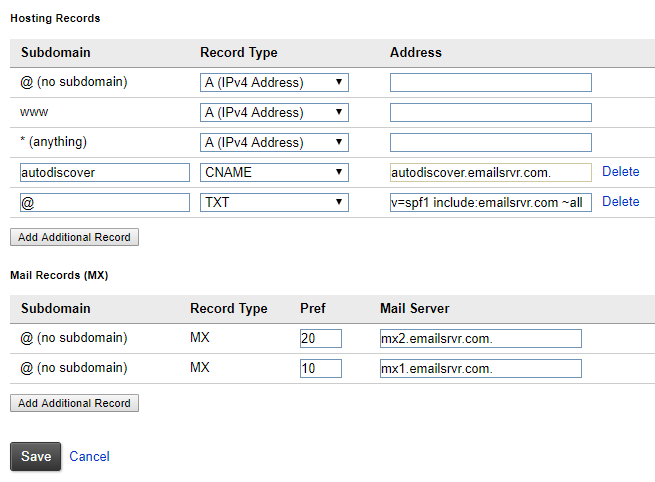 This is the initial DNS record set up to start receiving email at Rackspace Cloud Office. Warning: Changes to your DNS impacts other services, such as website hosting, that are tied to your domain and will cause service disruption if not performed properly. After you have completed your edits, click Save. 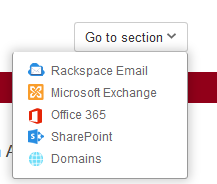 If your DNS is hosted elsewhere, see Set up DNS records for Cloud Office email.